Watching Tower Heist, I felt robbed. I had switched on the movie with a sense of optimism, buoyed by the hope of watching Eddie Murphy return to form playing a jive-talking street character, the sort of role that propelled him to stardom, while working alongside comedy all-stars like Ben Stiller and Matthew Broderick. Sadly, Tower Heist is mediocre on nearly all counts, delivering neither memorable jokes, an entertaining plot nor substantial thrills. The comedy revolves around a group of dedicated employees at The Tower, a hotel in New York (we know it’s prestigious because it’s not the Tower, it’s The Tower). When they find out that their pensions have been lost in a giant Ponzi scheme perpetrated by Bernie Madoff clone Arthur Shaw (Alan Alda), a diverse group of employees, led by meek building manager Josh Kovacs (Stiller), scheme to rob Shaw and reclaim what’s rightfully theirs. Of course, hilarity ensues as everything that could go wrong with the plan does. However, what could have been a gut-busting comedy if it had a more intelligent plot instead comes across as predictable and uninspired. The film’s real crime is its screenplay, which shamelessly lifts key plot points from superior movies like Ocean’s Eleven. However, the film’s target audience shouldn’t mind the hackneyed storyline too much, considering most of them are interested in Tower Heist solely for the film’s talented cast. Unfortunately, the film can’t even deliver on that count. One of the film’s greatest offenses is its criminal misuse of the many stars involved. 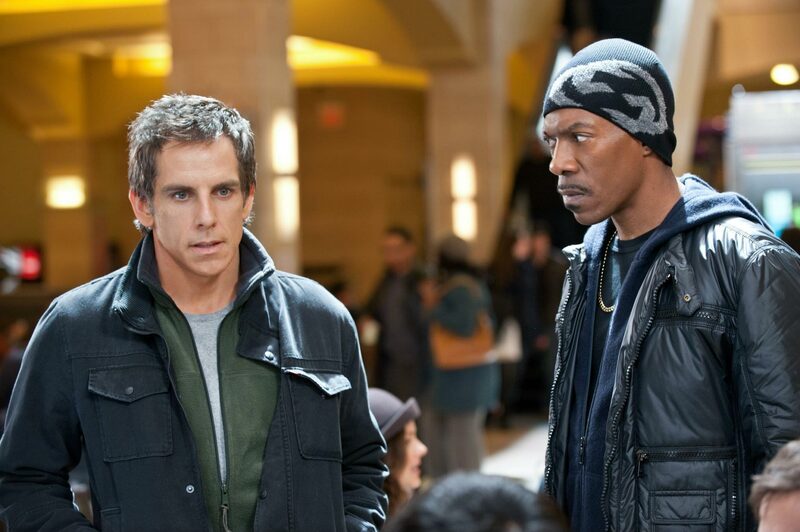 Stiller is funny at first as Josh, a fed-up, vengeful Everyman with whom all Occupy Wall Street protesters can sympathize, but his character burns out too early and has no room to develop over the last two-thirds of the film. Murphy plays Slide, a petty thief who joins Josh and his crew on their illegal endeavor. His character is the source of the few jokes in the film that actually work, though the borderline-offensive vulgarity of his humor may turn off more demanding viewers. His interactions with Gabourney Sidibe’s spirited Jamaican maid (in her first big film role since her Oscar-nominated turn in Precious) rank among the best scenes of the film. Broderick is not allowed to show off any comedic skills, miscast in the thankless role of an old, pessimistic schlub. Most of all, the talented Téa Leoni is completely squandered as an FBI agent with a poorly-developed and ultimately rudderless romantic interest in Josh. The only actor truly deserving of praise is Alda, who plays Shaw with a mix of menace and bravado. He steals the show effortlessly. The heist itself is ridiculous to watch and even cringe-worthy at times. The inane plotting of the film never allows the audience to believe that the characters in this film would be successful at anything more than holding a door open. Not one of them acts believably at any point in the film, making Tower Heist seem more like a poorly imagined fantasy than a timely crime comedy. This entry was posted in Reviews and tagged 2011, alan alda, ben stiller, comedy, dvd, eddie murphy, tower heist. Bookmark the permalink.